If you refer someone who becomes a new storage customer for at least 3 months – both you and your friend will get an additional month of storage absolutely free! You must refer a new storage customer to qualify and they should mention your name when they contact AYB to sign up. 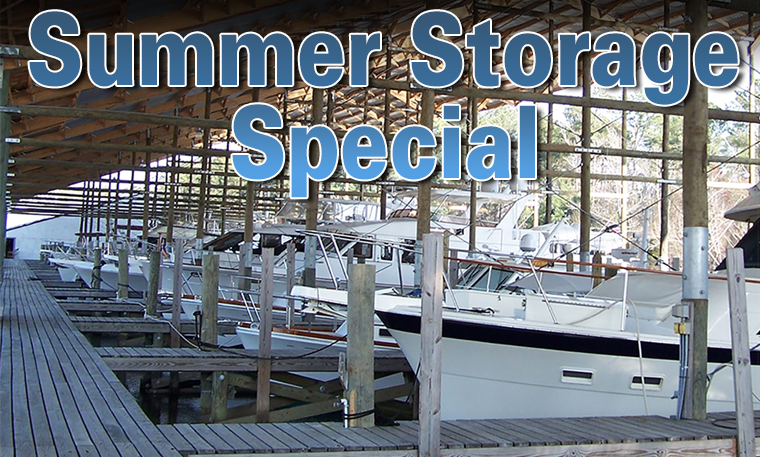 Offer applies to summer storage only and storage must begin on or before August 1, 2018 to qualify. We’re also a great stopover point for cruisers as well as those heading up and down the East Coast on their annual migrations and we are convenient to a number of airports and major highways as well as the ICW. And for local boat owners, the peace of mind that comes with storing and servicing your boat with AYB means that you can enjoy your boat up until the last minute, knowing that it will be in great hands whenever YOUR boating season ends.